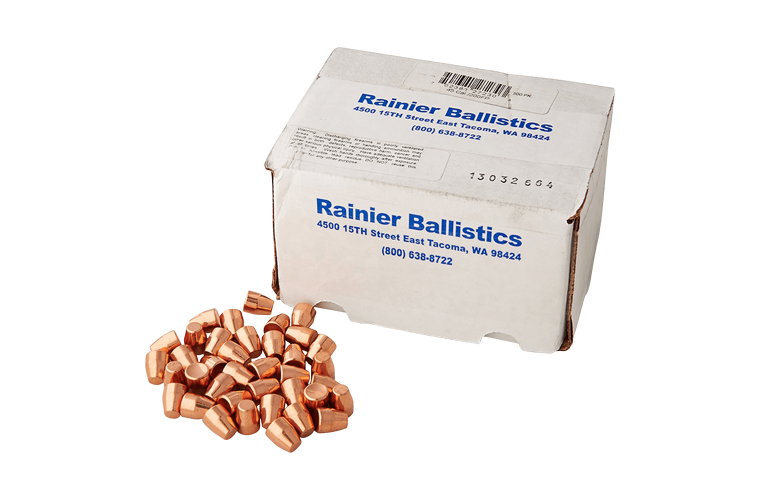 Rainier offers a large selection of swaged lead core copper plated bullets that are low in cost but substantially high in accuracy. Rainier swages their bullets twice with lead wire in an effort to ensure the tightest uniformity as well as prevention of premature wearing of barrels. While Rainier doesn't publish their own reloading information, they recommended using lead bullet load data when loading their bullets as well as a slight taper crimp. Rainier recommends a maximum velocity of 1,500 fps. 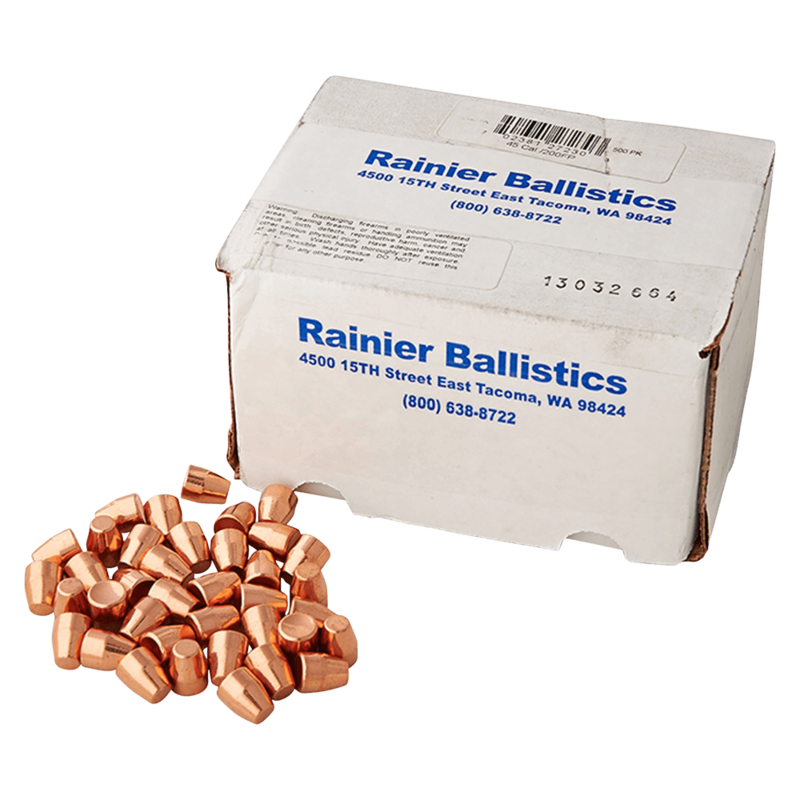 These bullets feature a lead core that is completely covered by copper plating. They are resized after being plated with approximately 0.004" of copper plating. This unique design makes them suitable for most indoor ranges, which often require the use of bullets with no exposed lead. The base is slightly concave to maximize the bullet to bore seal.